Share your love of cooking with a foster family! It could be as simple as making dinner for a busy family (check with them first to find out if there are any allergies/food issues), or you could volunteer with an organization like Fresh Chefs Society to teach cooking classes to foster youth. You could also invite a young adult who has aged out of foster care to a holiday meal. Contact your local college to see if they have any outreach programs for students who don’t have somewhere to go during the holidays. Knowing how to create a budget or balance your checkbook may be second nature to you, but many kids that age out of foster care lack basic life skills like money management. 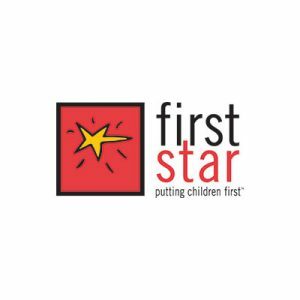 Contact a local foster care organization and see if you could teach a class, or offer your knowledge to foster families that are in your community. Are you a gifted musician? Learning how to play an instrument is a creative outlet that teaches time management skills, builds perseverance, and improves reading and comprehension skills. Volunteer with a organization like KING to teach music and mentor a child, or offer your services to a foster family that you know. You can also provide opportunities for foster families to experience music by giving them tickets to concerts or music festivals (check with parents first, though). Another way to help is to give one of your instruments to a child who can’t afford to buy one. Only 50% of foster kids who age out of the system will have some form of gainful employment by the age of 24. (1) Help change those statistics by teaching a foster kid a skill that will help them build a career as an adult. If you are experienced with HTML, PHP, Web Design, or Software/App Development, share your knowledge with a foster kid! Access to reliable transportation is often a big area of need for foster youth who are transitioning to independent living. Teaching a teen how to do basic car maintenance or helping them fix up an older car is a huge help! Tutor a foster kid! Introduce kids to the fun of math by donating math/logic games and puzzles to a foster closet near you. Give a foster family a membership to a nearby science museum, planetarium, or a children’s museum like GRCM. If you already have a relationship with a museum, ask them if they’d like to donate a membership, or suggest that they offer a free/reduced admission day for foster families. Are you a photographer or filmmaker? Help a foster child find a forever family by volunteering with an organization like A Family For Every Child or Art & Soul Dreams to photograph foster kids who are available for adoption. If you’re skilled at shooting video, you can shoot short videos that help kids tell their stories or you can teach them how to shoot and edit video so they can tell their own! Surveys report that at least 70% of foster youth desire a college experience, but only about 2% of foster youth who age out of care obtain a bachelor’s degree. (2) If you want to help more kids get into college, offer to tutor a child, pay for an SAT prep course, or take a foster youth on a campus tour of a nearby college. If you want to help a youth who has been accepted into college finish successfully, get together with some friends to furnish a dorm room or create a welcome basket for a new student, make meals for students during school breaks, or become a mentor to help a student navigate their years in college. Here in Michigan, the Seita Scholars Program at Western Michigan University has opportunities for volunteers in the community who want to help foster youth get the most out of their college experience. If you have artistic talent, share it with foster children by teaching art lessons or becoming a mentor to a child who loves to create. I’ve taught art classes and private lessons for over 10 years, and I am constantly amazed by how mastering a technique or tool can boost a child’s self-esteem. There’s also something about having space to create that also gives kids freedom to talk about what’s going on in their hearts. Giving children the tools to express their thoughts and feelings in a visual way provides a safe, healthy way to deal with stress and process trauma. If teaching art to kids isn’t something you enjoy, you can use your talents to raise money for foster care organizations, donate art supplies to a foster closet or local CASA program office, or create something that you can give to a child in foster care to let them know they’re special. Wouldn’t it be cool if when a child arrived at a new placement there was a painting on the wall, a handmade mug, or a piece of jewelry that was just for them? 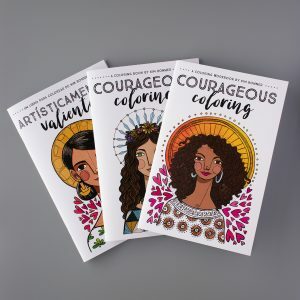 My interest in using art to help kids led me to create a coloring workbook for girls in foster care called Courageous Coloring. It’s full of journal prompts, life skills tips, and affirmations. Since I didn’t have a bunch of money to pay for the printing of the workbooks, I started selling a coloring book version. For every copy sold, another coloring workbook is given to a girl in foster care. I started selling the coloring books in 2017 and so far I’ve been able to give away over 500 coloring workbooks to girls in foster care! Honestly, if you have a desire to help kids in foster care there’s always something that you can do. This list is just the beginning! 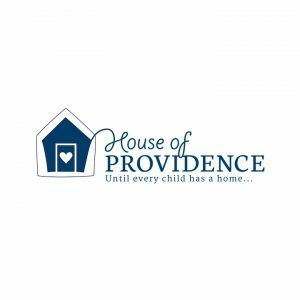 If you are looking for other ways to help, contact a local foster care organization to find out what their needs are, volunteer at a foster closet, or train to become a Court Appointed Special Advocate. Better yet, find out if there are foster families in your neighborhood or local church and ask them how you can help. You might end up shoveling snow or picking up groceries, but anything you can do to help a foster family will help the children in their care. And if you have the desire and ability to become a foster parent, contact your local foster care organization to get the process started!